Why did we do it? Because we were tired of watching the highbrows turn up their noses at every new cover, whining, “The original was better.” They were only showing off that they knew the new song wasn’t an original and that their musical tastes were sophisticated enough to reject anything that departed from the first recorded version of it. Besides, it’s not necessarily true. The first recording of a song is the definitive version only as long as nobody comes along to do it better. Which brings us to the question of the differences between composition and performance as artistic practices. 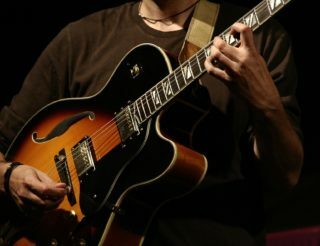 If you’re at all serious about the guitar you will at some point in your learning trajectory ask yourself: Which is more important to me, writing music or performing it? The answer may be one, the other, or both, but your answer to this question will have an important bearing on how you approach your studies. The mind of the composer is where musical and often lyrical ideas emerge, develop, and blend to form a piece of music. 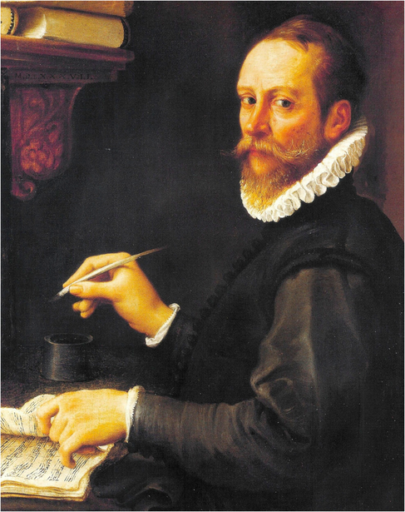 The composer generates the work of art, so to speak, pulling inspiration from the ether and giving it flesh and bones. The composer is in a great position to present this new piece of music to the world for the first time, and if they’re lucky enough to be as gifted at performing as they are at composing, later performers will have a hard time re-interpreting the work. If your talents lie more on the side of interpretation, don’t ever let a song’s fame and popularity keep you from trying to cover it! Just take a look at how many fabulous covers of Beatles’ songs have been produced and you’ll admit that no song is sacred— except for songs that literally are sacred. So what can good musical interpreters do with songs they haven’t written themselves? A heck of a lot, it turns out, but while interpreting a song musically is easy to do it’s hard to do well. You have to love the song, grow to understand it, and strive to not only showcase its original beauty but also to bring out aspects of the song that the original version didn’t adequately bring to light. And you need to do this in a why that’s original, unique, and inspired. The guitar being such an expressive instrument, a good guitarist can express the lyrics of a well-known song instrumentally without a word being sung, and you’ll definitely hear this in the examples below, especially in the instrumental versions of songs whose lyrics you know by heart. 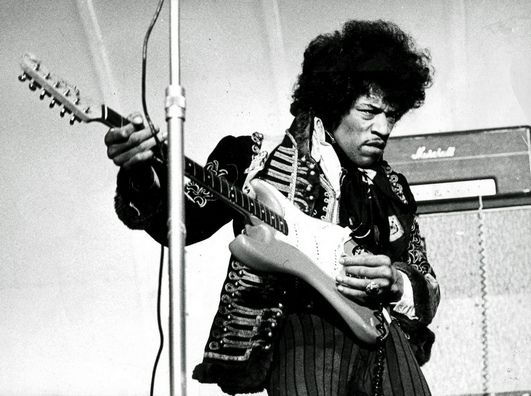 The following is just a small sampling of notable guitar covers. 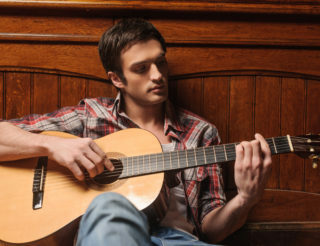 Some of them include voice, but try to pay attention to the guitar and what it does to heighten the emotion of the song. This is a blues number written by Jimmie Cox in 1923. The earliest popular rendering of the song was recorded by the inimitable Bessie Smith. Jorma Kaukonen’s guitar all but gets down on its knees and asks if you can spare a dime. This is a traditional American gospel song first recorded by Blind Willie Johnson in 1930. Although it’s been recorded splendidly many times since then, Keaggy’s guitar and zealous delivery make this performance a winner. Keaggy’s spiritual path gave him a special affinity for the song’s subject; he also added some lyrics to the song after having spent some time on the Isle of Patmos where John the Apostle lived in exile while writing the book of Revelation. The guitar solo is apocalyptic. We probably don’t need to tell you about one of the greatest rock songs ever written, but have you seen Stanley Jordan’s strange, startlingly innovative interpretation of this iconic number? Jordan’s fascinating technique involves tapping the fretboard with the fingers of both hands. The jarring beauty of his performance should help you see the potential of trying new things on your own axe. In “A Day in the Life,” Jeff Beck takes Lennon and McCartney’s angst-ridden hymn and ups the ante, making it more abrasive, more urgent, more nuanced, and ultimately more poignant than the original. “Autumn Leaves,” written by Joseph Kosma in 1945, was originally a French song but entered the canon of standard jazz numbers when Johnny Mercer wrote the English lyrics in 1947. It’s been covered repeatedly by jazz and pop singers alike every decade since, but Eric Clapton gifts us with a slow swinging version and a mesmerising guitar solo. Clapton’s voice is as subtly expressive as ever, but listen closely to his guitar solo; it practically weeps with all the sad regret the lyrics describe. The copyright of rock standard “Hey Joe” was registered in 1962 by Billy Roberts and first recorded by The Leaves, who claimed to have written the song themselves. The song appears to have been cursed by the demons of attribution; to this day different people claim to have been instrumental in its authorship, and some even claim that it’s a traditional folk song. Whoever wrote it, Jimi Hendrix’s version became the definitive one, and if you listen you’ll understand why. His version also features the famous “walking bass” technique that bass players have imitated ever since, a bass line that really shows the song’s interesting chord progression, which is based on the circle of fifths. 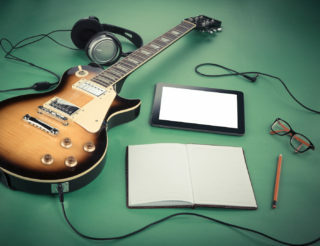 We hope these covers will inspire you to tackle any song that moves you and make it your own, using your guitar to be creative and innovative and to express a song’s meanings that other musicians, even the original composer, may have glossed over. And don’t overlook what a great tool the Uberchord app can be in helping you to master a song. Good luck and happy covering!